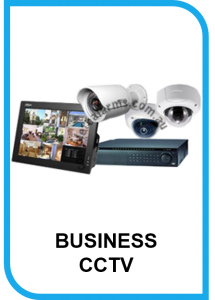 To have a high tech CCTV system installed in your house is a fabulous accomplishment. There’s no doubt that the system will render your house or business premise safe but he also need to take note of the downsides of the system. At Complete Alarms in Sydney we honestly believe that by knowing these potential flaws, you’ll be able to avoid complicated situations that may just negate the benefits that you gain from your system. The paramount reason for installing a CCTV surveillance system in your premises is to ensure your premise is safe from unwanted intrusions. It was never meant to be installed so you can spy on the private lives of other people as well as your staff members. People do not like the feeling of being under surveillance where their privacy may be compromised. Hence you need to very careful where you have your CCTV system installed, otherwise, you will end up not only paying your electricity bills but your legal fees as well, and we all know how hefty legal litigation bill can get. When you consider that you can walk into any shop and buy one camera video for a couple hundred dollars, it makes one wonder why 6 or 8 camera configured systems with all the trimmings such as alarms, monitor and recording devices. These systems can cost up to $3000 and that’s not cheap. It’s true that the CCTV systems are expensive but the security they give is well worth it, so it’s essential you select a system with assistance from experts so you get the best value for your money. You need to be aware of other costs such as computers to and tapes for info storage, upgrades, repairs and maintenance to keep your system running. By knowing them you can control them. No system is that good it will solve every problem and although CCTV systems can do much to ensure the security or your home or business, burglars will not take notice of them during their forays into houses. To make things worse, installed systems can be easily vandalized by anyone who has dealings with a dealer in some remote pawn shops. We would advise that systems should be installed at conspicuous and unreachable sites that will enhance surveillance and protect the systems at the same time. Careful placement to prevent these events from taking place should be your priority. Should you need more information on how to safeguard your system from theft or effective use, don’t hesitate but ring us now on 02 8006 1116 and we will provide it for you.